Word on the path. What changemakers say about Ethical Brand Marketing. Helping changemakers in the making. Jessica is exceptional at what she does. I reached out to her to get help with my business and marketing strategy and her understanding of different types of niches and industries is truly astounding. Jessica draws from her years of marketing expertise and knowledge to tailor a service that is so precise, relevant and personable to your business so you would never feel like you're just another number in her books. Her level of detail and attention to your business needs are also highly commendable and I have just booked into her Masterclass which is going to be really beneficial for me. Highly recommend her services! Jessica really gets ethical marketing, she really gets brand, and she really gets strategy. She asks brilliant questions that bring out the thoughts that are difficult to put into words, creating a sound foundation for all customer attraction activities — so you can be sure to get results. But not only that — Jessica is also a delightful partner to work with. She's warm, takes customer care super seriously and has got a great sense of humour. Besides, talking about music with her is lots of fun! We're also both expats and I enjoy our little chats about our cultural experiences. Jessica has reviewed our website, facebook page and the hand-out leaflets for Honest Coffins. She did this with efficiency, good humour and patience. Her comments were incisive and valuable. I will be putting them into action forthwith. But the absolutely best thing (apart from liking Jimi Hendrix and the Doors) was that she is not pushy like all the other marketing people I've ever talked to over the last 20 plus years. Instead, she is pleasant, efficient and a delight to work with. A first-class consultant. I just really depend on Jessica's opinion and the longer I work with her and try out other things, I realize how great she is. I so appreciate her thoughts, her opinion. So when she tells me something's great, then I just trust her. Without her, I wouldn't be where I am today. THANK YOU from the bottom of my heart for your dedication! Jessica Lohmann of Ethical Brand Marketing is poised to become a dominant thought leader in the marketing strategy world, especially in Europe (Jessica is born in USA but lives in Germany) where they are quite a few years ahead of us in creating beauty and apparel brands that do not harm animals, people, or rivers. If you share Jess’s devotion to all creatures great and small, and/or you are/know a decision make in an ethical beauty/apparel brand, Jessica is a person you want to connect to while she still has time to take your calls! Jessica Lohmann indeed exudes Passion. I just love how much attention she gives things. Wherever she goes, she is THERE...and you can FEEL her energy. I love how there's no BS with her, either. You always get the REAL deal, which is why she's so good at what she does. The world needs more people like Jessica! I'm so grateful to have connected with her through B-School when I was in Germany!! It has been our pleasure to work with Jessica! Her professionalism, efficiency and voiceovers are excellent. What I admired about working with Jessica, is that she not only provided excellent voiceovers, but also took active interest in making sure the overall product was a success. She was very patient and accommodating with our requests and her contribution above and beyond what we expected. I would highly recommend her expertise and services. Jessica is great to work with. She is one of those rare gems who makes a substantial difference. She communicates well, gets the job done, has good ideas, thinks outside the box. She is an asset to any company or client she works with. We will definitely continue with Jessica in the future. Jessica Lohmann was hired to create and implement an Ethical Marketing Strategy for Safari With Us in October 2015. 48% = Increase of direct bookings after only 3 months of implementation. 434% = Increase of direct bookings from 2nd quarter 2015 (3 months before hiring Jessica) to 2nd quarter 2016 (6 months after hiring Jessica). I started working with Jessica after meeting her in another program. I loved her & her niche around "ethical" marketing because for years I'd struggled with marketing in a way that felt both ethical and authentic. 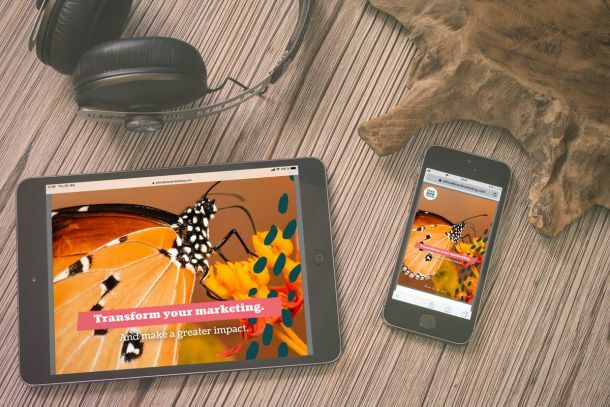 After working with her I was able to greatly simplify the content on my website and in all my marketing materials in a way that more simply & effectively speaks to my ideal client. She was also very knowledgeable and the feedback and guidance she provided have been absolutely invaluable to me feeling more confident in my brand & my marketing! Jessica's focus on marketing ethically is truly unique & something I believe the whole world could benefit from! For my upcycling, waste-free sustainable fashion brand, Tatty Moo, I really needed help figuring out just who my ideal customer was, and therefore, what my USP was. I've only ever done short free or cheap marketing courses, but to be honest, I was helped a little, but with Ethical Brand Marketing, I had a more tailored approach for my market. I feel I now have a more defined view of who to market to; and how to showcase my stock better. I really liked the personal one-to-one nature that Jess provided. She's at the forefront of Ethical Marketing, and I really recommend working with her. I had the distinct pleasure of working with Jessica. Her qualified marketing expertise and strategic thinking skills were very valuable while setting up a new international marketing strategy for our cloud product line. Jessica is a responsible and valued manager and the team simply loved the way she turned ideas into reality. Another fine job where Jessica went above and beyond the description of the contract. Jessica is really wonderful at what she does. She is very attentive to specific challenges, always a pleasure to work with, easy to communicate and walks you through the process from start to finish. She even simplifies complicated subjects for me. I have had the privilege of working with Jessica on The Possible Missions Project since 2014. She brought a clear insight and an ability to find innovative ways to market within our budget constraints, as well as work with shifting project timelines without batting an eye. Her level of professionalism went above and beyond what the project expected, and we were all the better for it. I cannot recommend her more strongly for your own marketing projects. Are you a visionary leader who found a way to save animals and earn a living? Well then, we want to help YOU. Subscribe to our newsletter and receive ethical marketing tips, exclusive offers, bonuses, freebies, event notices, etc. and let's get your marketing working out for you. As a special thank you in our welcome email series, we'll send you a free step-by-step guide on how to create an ethical marketing strategy and a checklist on how to get your products into retail stores. Awesome. You're almost there. Please check your inbox to confirm. We never spam or give away your information - that would be sleazy. You can also unsubscribe. Did you know that I also write for the animals? As the founder of Ethical Brand Marketing, I not only market for the animals, I write for them too. On April 24: World Day for Laboratory Animals, I will publish Lily Bowers and The Uninvited Guest, the 1st of a must-read new middle-grade book series that shows how important it is to respect all animals. Join fellow animal lovers and receive updates about new book releases, fun stuff to do in nature, exclusive offers for fans and more! 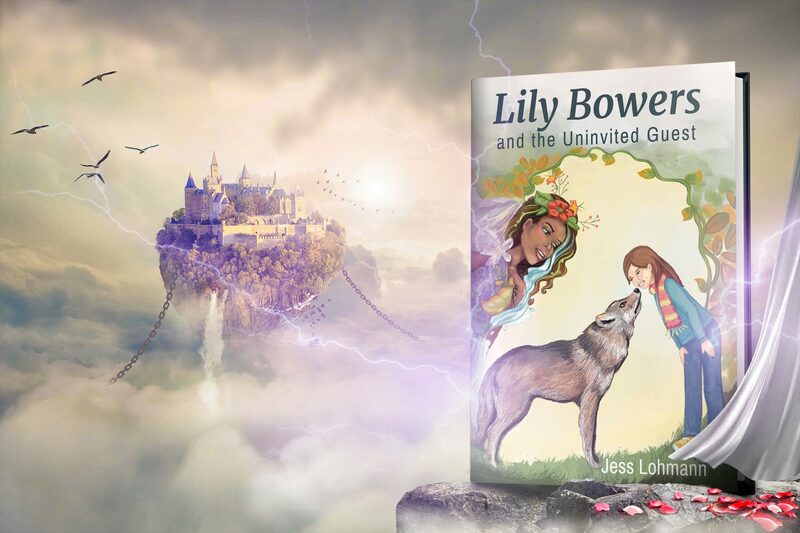 As a thank you, I'll send you the digital version of Lily Bowers and The Uninvited Guest for free. Awesome. You're almost there. Please check your inbox to confirm. Remember, the mail will be from Jess Lohmann. I never spam or give away your information. You can always unsubscribe.